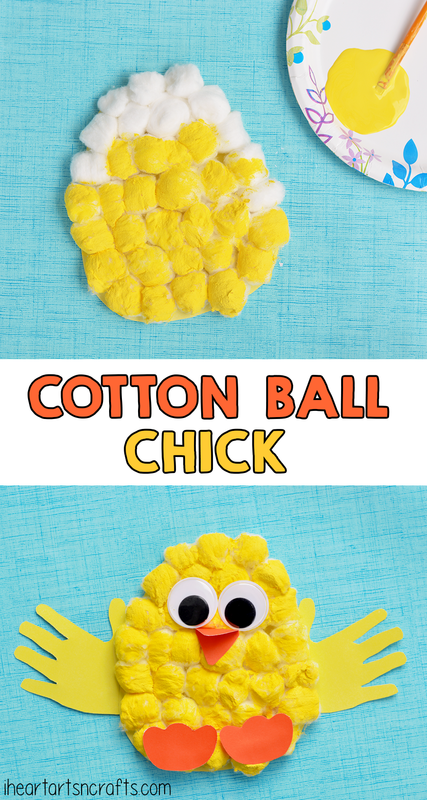 Make some adorable baby chicks out of cotton balls and use handprints for wings! 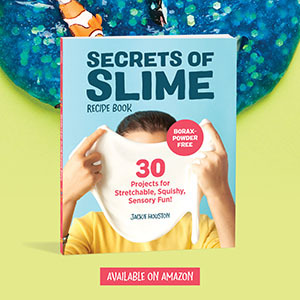 This is a fun and easy craft to do with the little ones, plus it’s perfect for Easter! 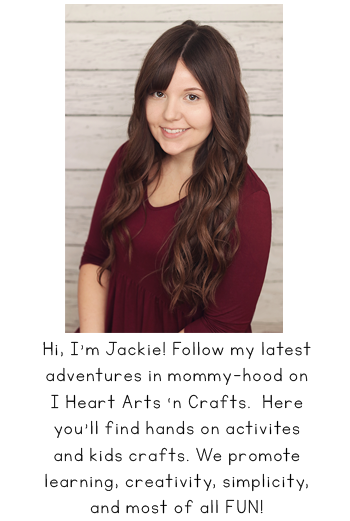 To start, you’ll cut out the shape of your chick out of yellow card stock paper. 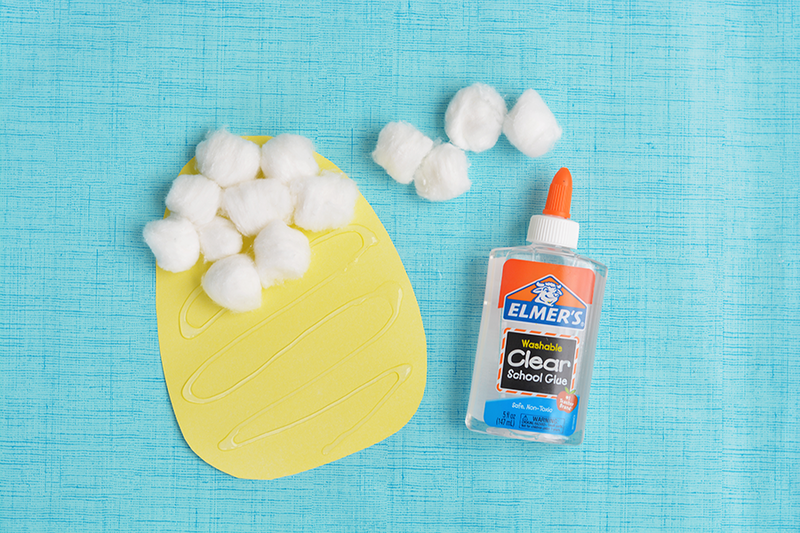 Then take your glue and glue on your cotton balls. 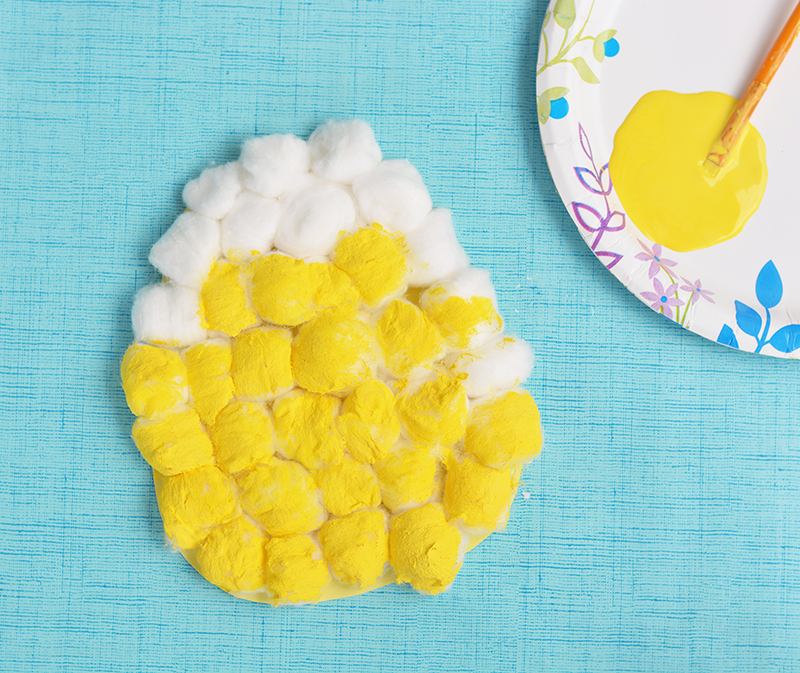 After the cotton balls have dried you can start painting them yellow, then set aside for your paint to dry. 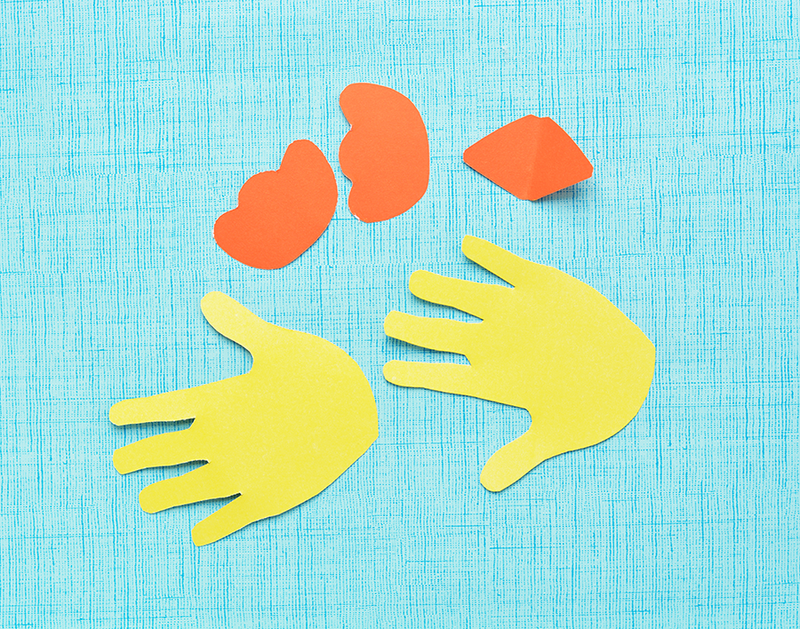 Take some orange card stock and cut out your feet and beak shapes. 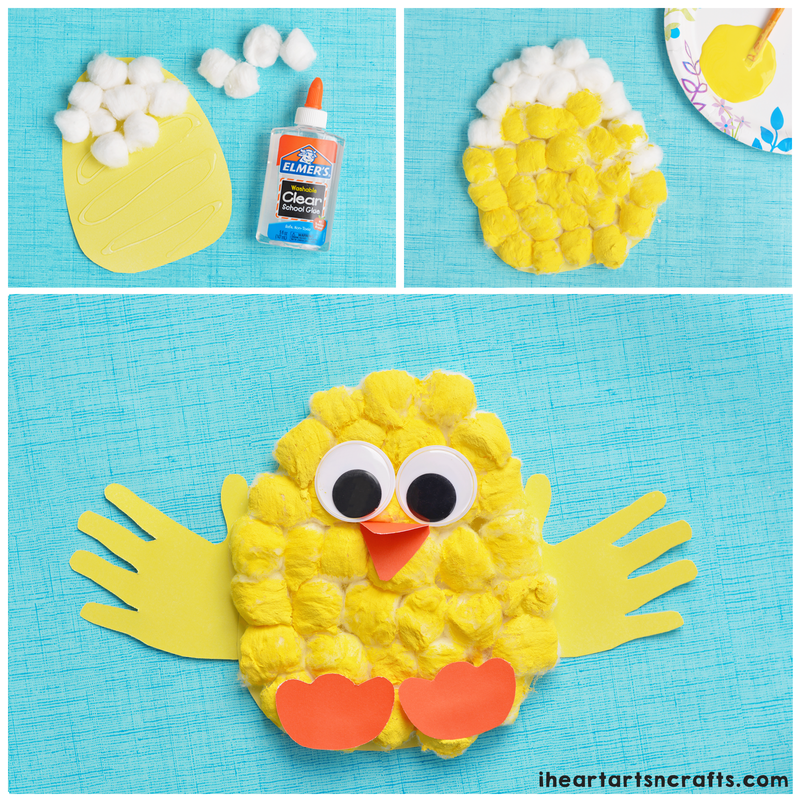 For the wings, have your child trace their hand on yellow card stock, then cut them out and glue onto your baby chick! Finish off your baby chick with some large googly eyes!